founder, Robert Kennedy, a U.S Attorney General and Ted Kennedy, one of the most powerful Senators in American history. He went to Choate College in Wallingford, Connecticut. He had one semester at Princeton after graduating. After he got out of Harvard, Kennedy joined the U.S Navy. When Kennedy was 29, he ran for the U.S House of Representatives. He served 3 terms from 1946 to 1952. Kennedy then challenged (R) Henry Cabot Lodge for a seat in the U.S Senate, and won by a close margin. After the election, he met a beautiful woman named Jacqueline Bouvier at a dinner party. 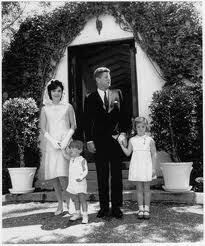 They got married on September 12, 1953, and later had 3 children: Caroline Kennedy, JFK Jr. and Patrick Kennedy. John F. Kennedy and his family. Kennedy was selected as a Democratic presidential candidate. Four years later, he ran for president. On November 8, 1960 Kennedy defeated Nixon by .1% to become the 35th President of the United States. He was the second youngest American president in history. (2nd to Theodore Roosevelt, who was elected at 42). At his inauguration speech, he said one of the most famous lines ever spoken: "Don't ask what your country can do for you...Ask what you can do for your country." In 1961, JFK had met the Soviet leader to discuss the division of Berlin and the rest of Germany. 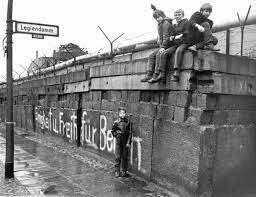 But they had got into conflict,and then East Germany had built the Berlin Wall, dividing East Germany (Soviet) from West Germany (U.S). In the later months of 1961, JFK had launched the Peace Corps. Peace Corps would send volunteers from the wealthy, 1st world countries to 3rd world countries and give them relief. 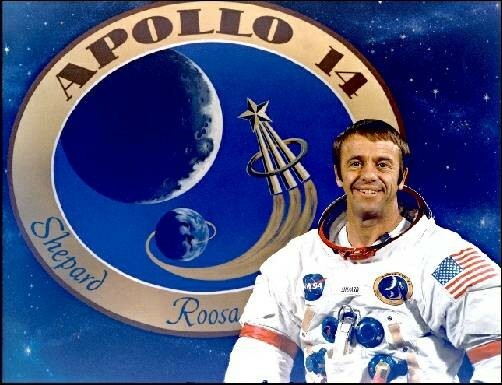 The launch had some problems, but they soon got people to help in Africa. 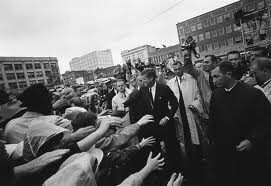 Kennedy also wanted to help the Civil Rights movement, but was slow to help out. Finally, he then supported the "March on Washington", which included MLK's "I Have A Dream" speech. In 1962, JFK had heard about the Cuban Missile Crisis. Soviet's had launched missiles that were going to hit Cuba. 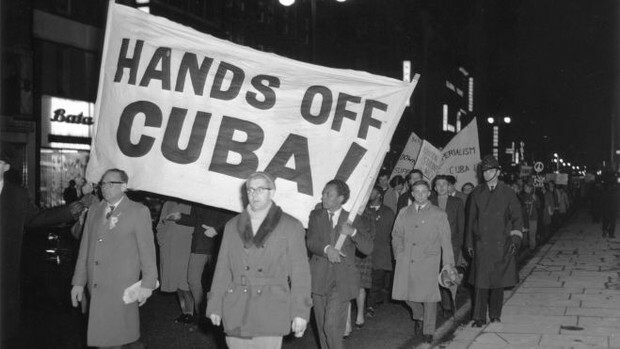 Kennedy forced Cuba to shut down and protect them and the U.S from any missile attacks. John F. Kennedy was a stressed out man. He was worried about winning Texas/Florida's votes for re-election. Morning of the day he was killed, Texas Hotel in Fort Worth. JFK went to Carswell Air Force Base for a 13 minute flight to Dallas. 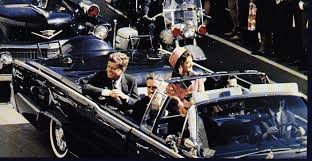 JFK was killed around 12:30 p.m. by Texas School Book Depository Building. Died thirty minutes after shooting at the Dallas’s Parkland Hospital. 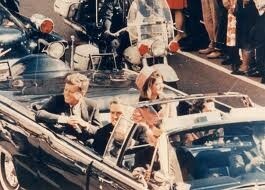 Lee Harvey Oswald was claimed as the killer. People have theories of why he killed JFK. 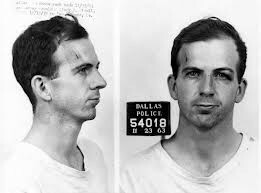 Oswald got murdered by Jack Ruby.